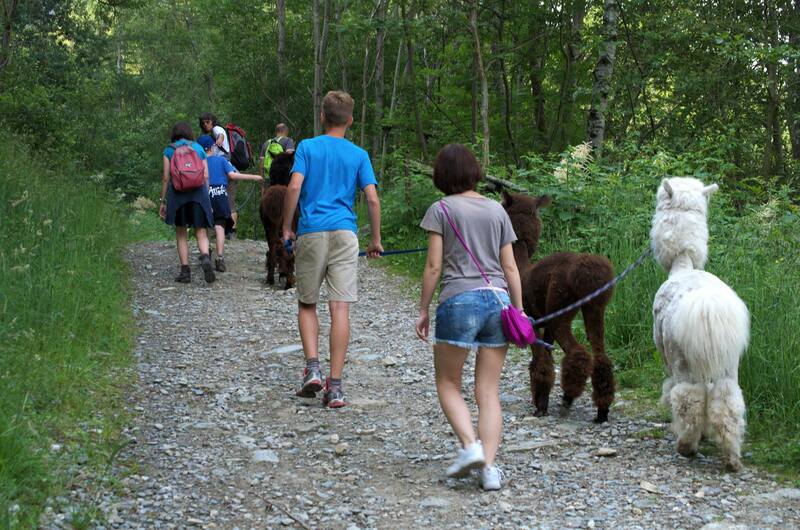 Alpacas are great companions to practice some trekking. 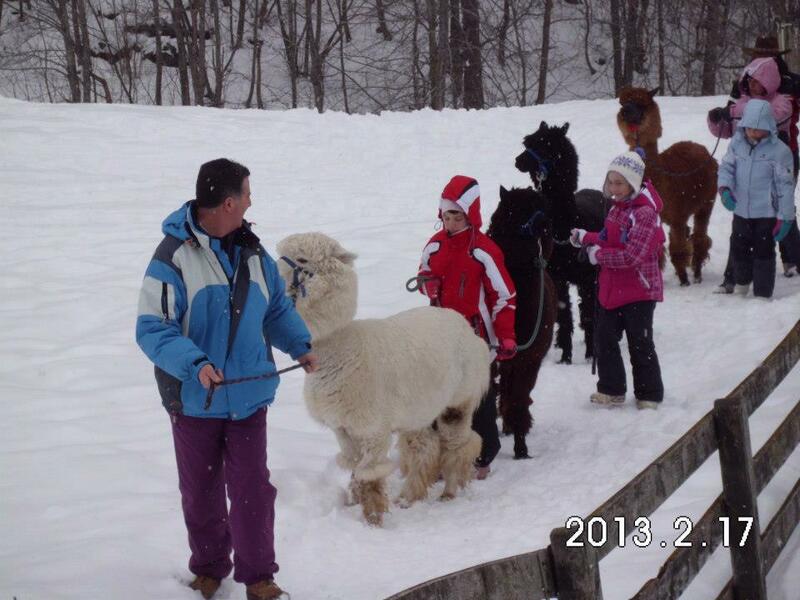 The adults become children again and children have a lot of fun. 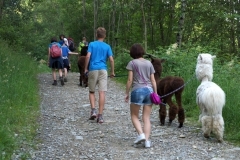 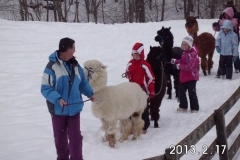 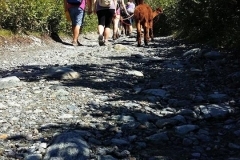 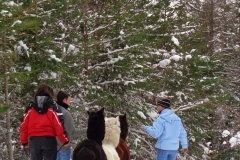 Trekking with alpacas is a great way to have you kids discover something new. 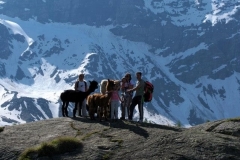 We organise every kind of hike for every kind of people and level. 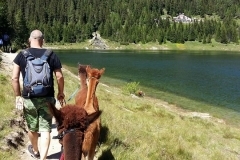 We walk eiter for a few minutes and for a couple of hours, according with the time that you hav you decide where to go and for how long! 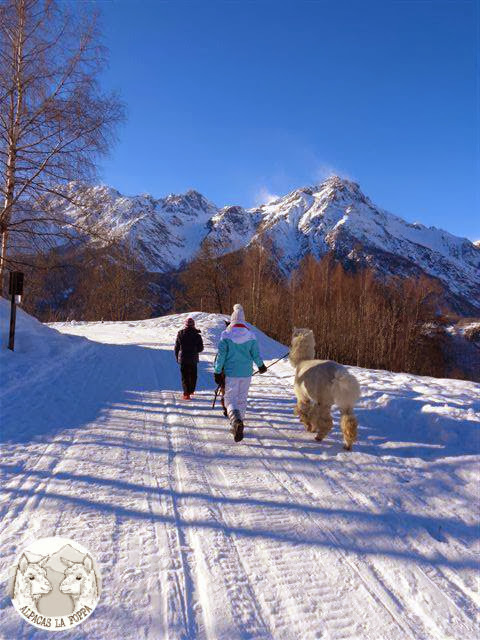 There are a lot of nice paths in our area from where we can admire our beautiful valley and the great Pizzo Scalino walking through our hamlets. 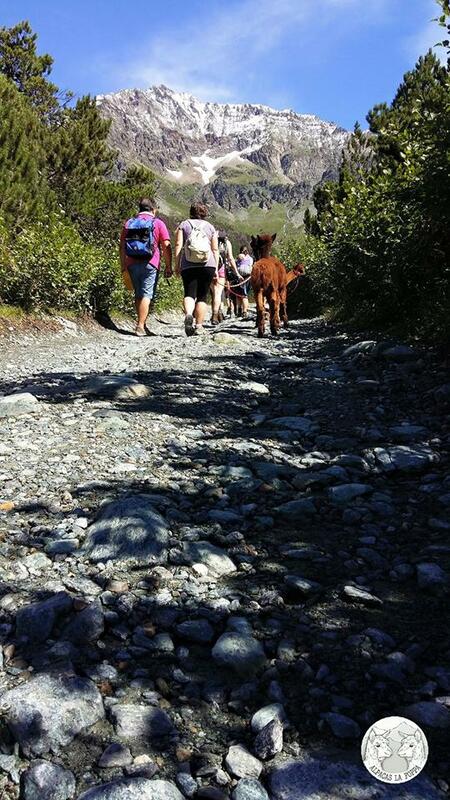 Depending on the hike that you choos you’ll receive a snack made of our thypical products. 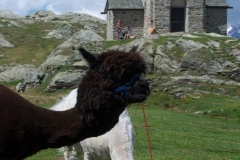 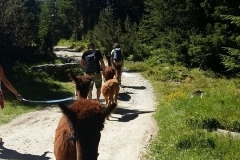 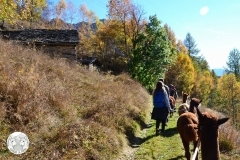 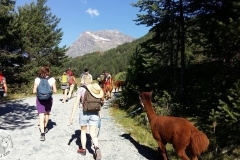 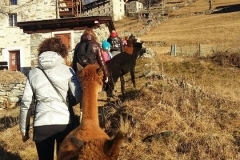 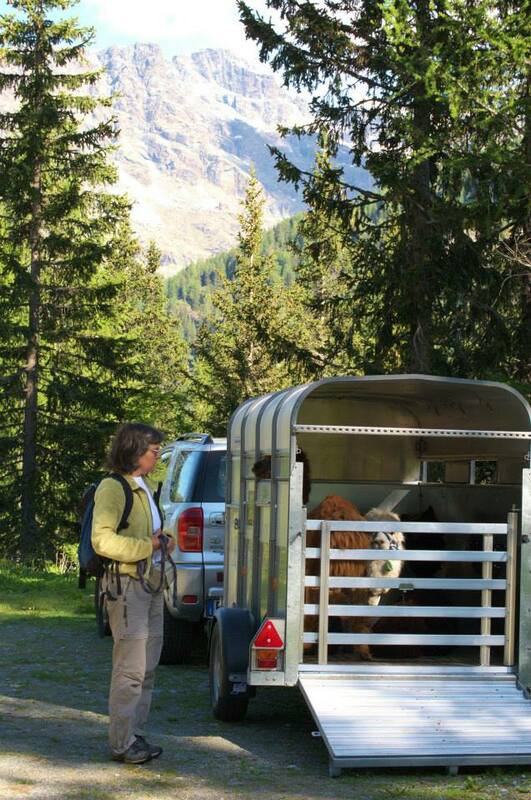 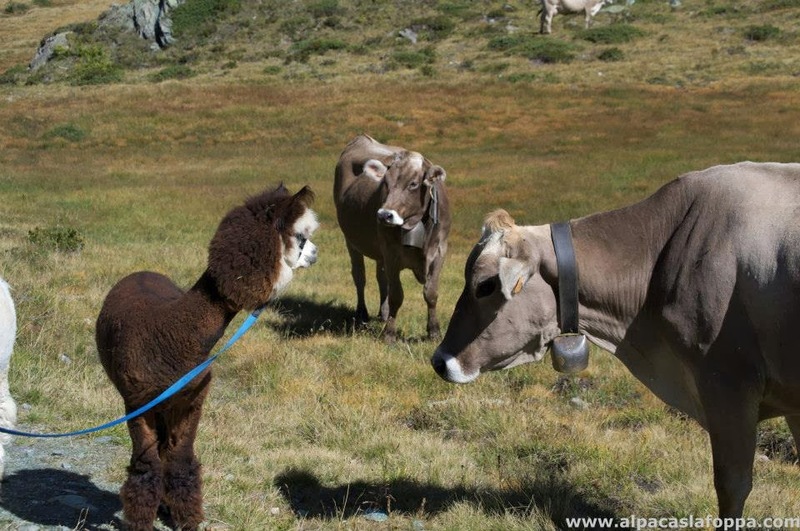 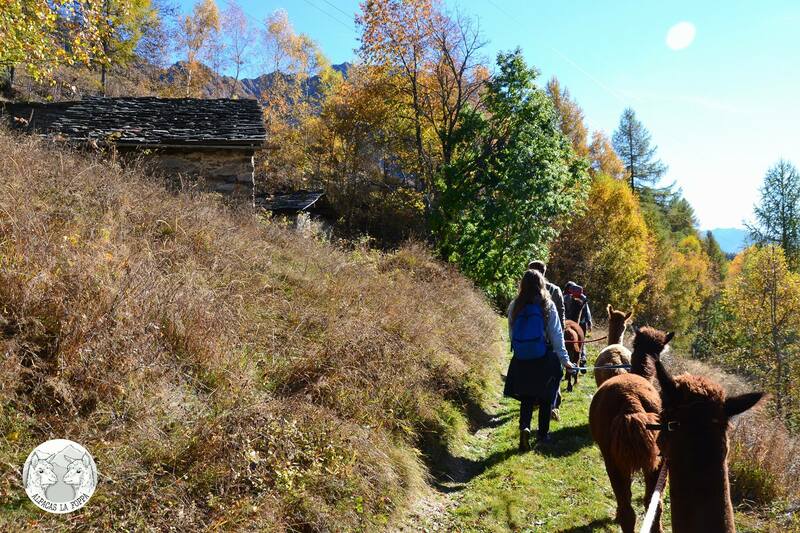 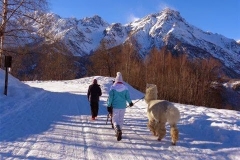 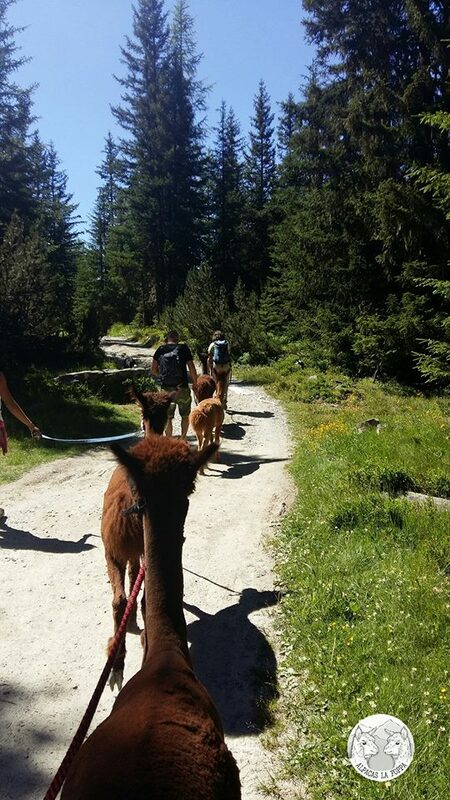 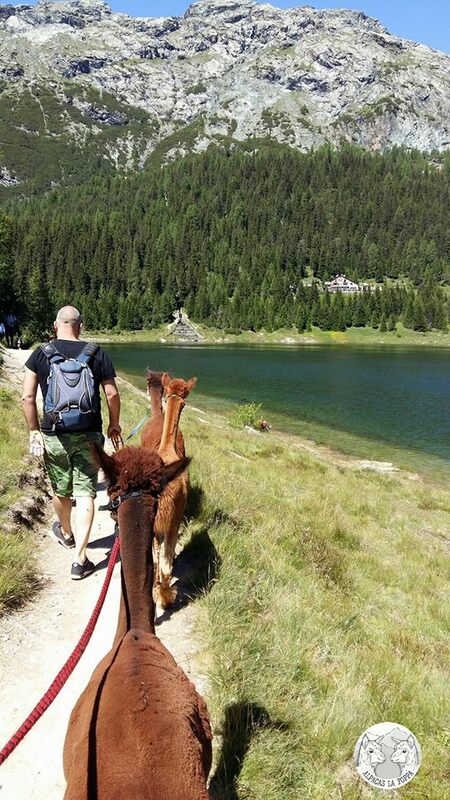 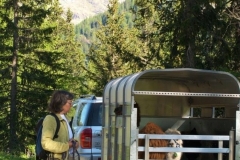 1 or 2 hours alpaca trekking from our farm in S. Elisabetta – Caspoggio. 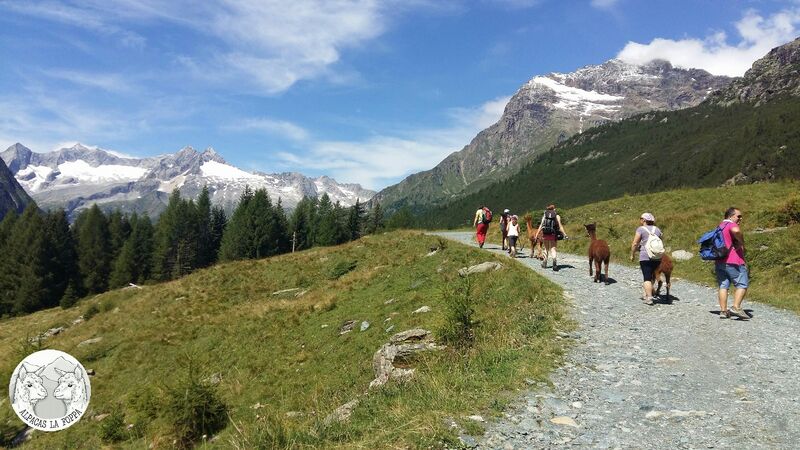 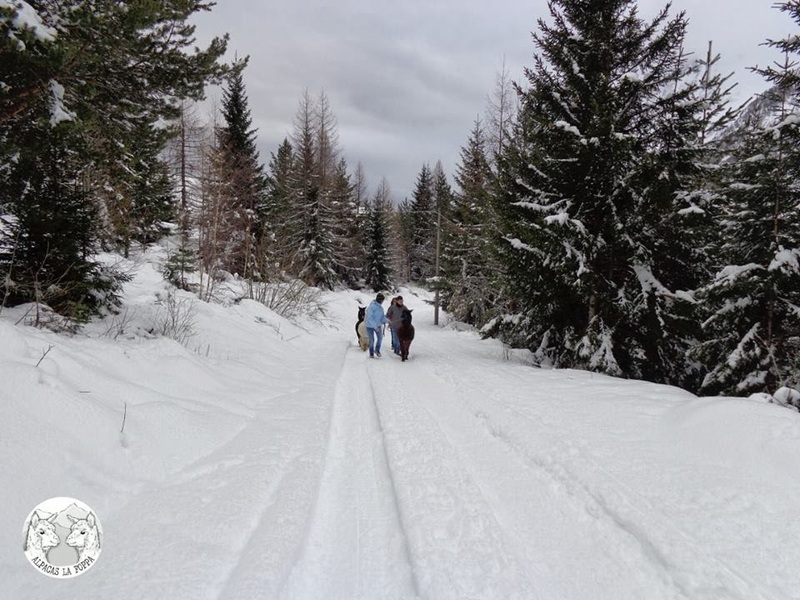 We’ll walk through a path in the woods and we’ll reach one of our most beautiful alps. We’ll have a wonderfull view of the Valmalenco. 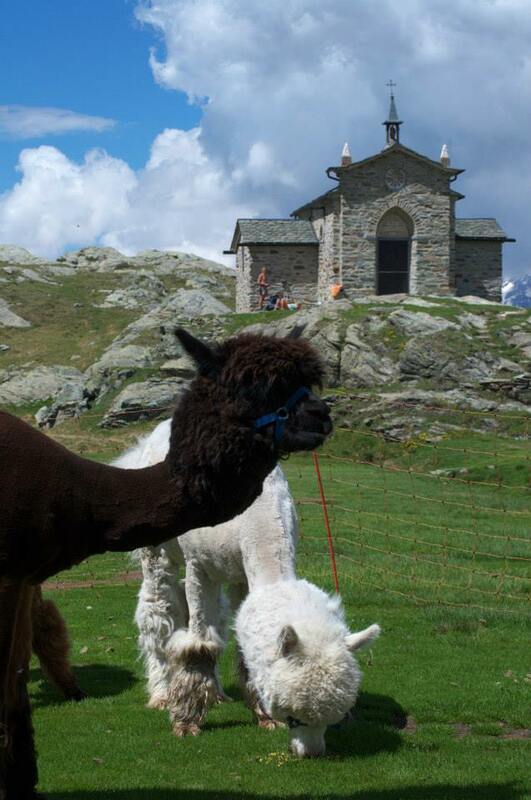 Afternoon trekking at the Rifugio Tartaglione, where we’ll tast their famous “frittelle”. 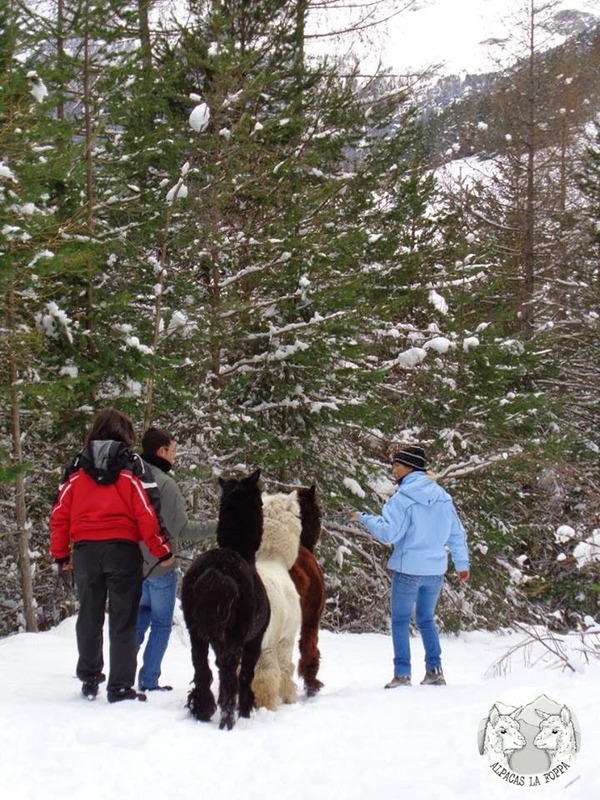 The meeting will be in chiareggio, and we’ll admire the beautiful Monte Disgrazia and the Chiareggio valley. 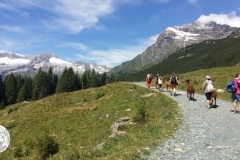 Full day trekkings with your own lunch, or at one of our Rifugi. 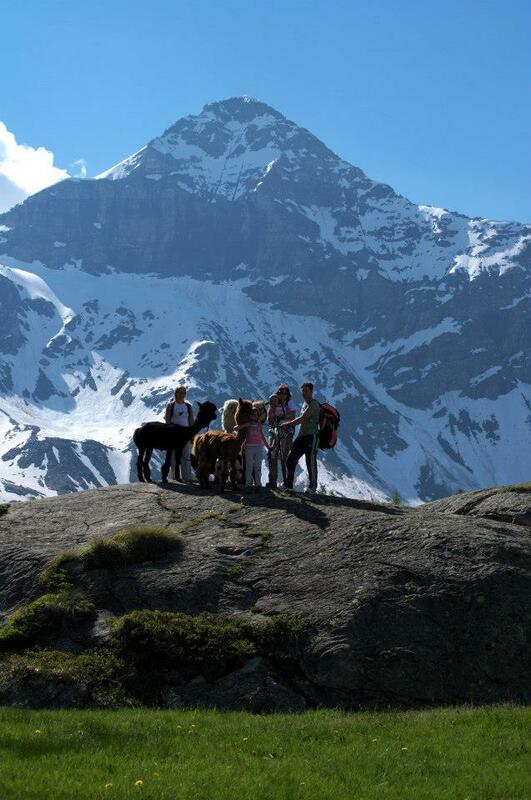 2 or more days trekking with a fun overnight camping and barbecue under the stars (only during the summer). 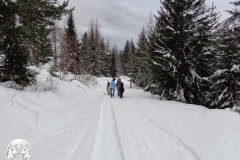 Do you want something planned just for you? 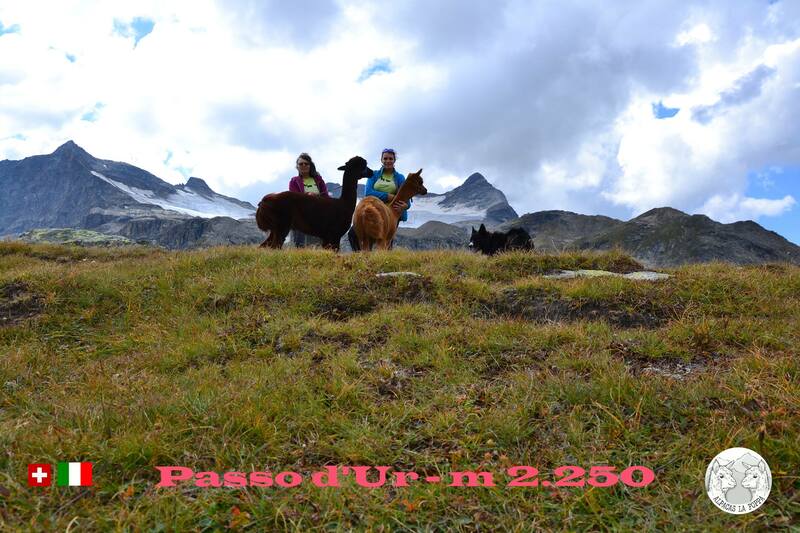 Please call us, we’ll bild your own activiry! 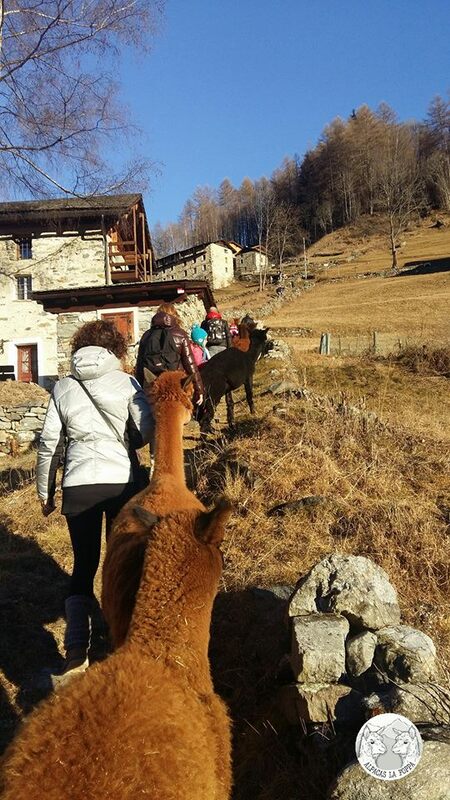 Here in Valmalenco we have plenty of path where you can discover all of our pastures, you can even try fresh milk or some really good cheese. 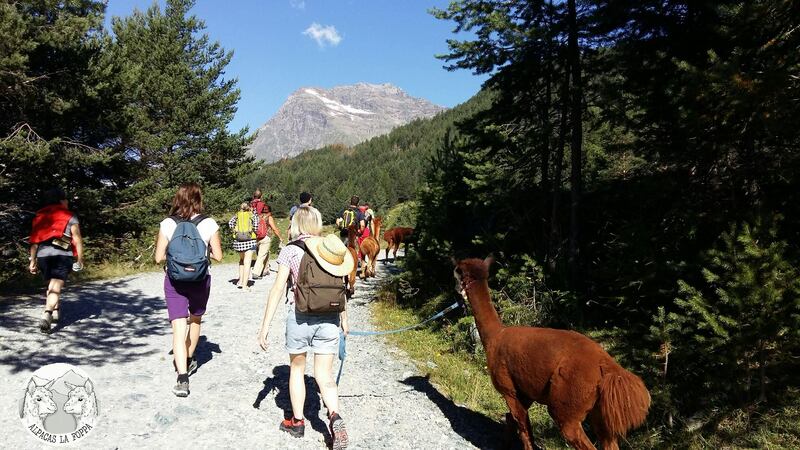 You’ll be able to walk right by some of the most beautifull mountains in the world like the Pizzo Sclaino, the Monte Disgrazia or the Bernina. 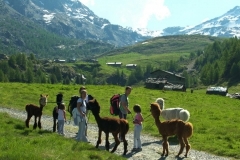 Please feel free to contact us for any kind of information or for special requests, it will be our pleasure to satisfy all your requests!